Forsyths ligger bakom många av de pot stills som destillerar våra favoritdroppar av livets vatten – både i Skottland och på andra platser i världen. Från att vara mest verksam inom whiskyindustrin så levererar nu Forsyths utrustning för all form av destillering. Det finns pannor från Forsyths som kokar rom, gin, bourbon, tequila, brandy och allt annat du kan tänka dig. 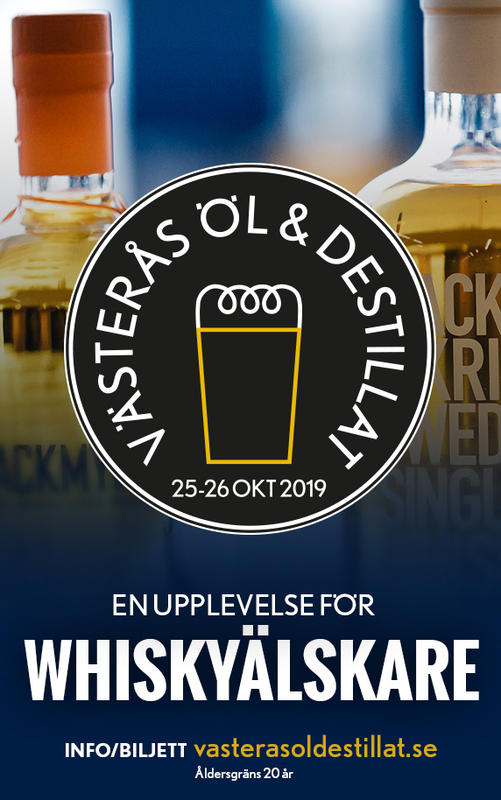 De bygger givetvis de vackra pot stills för maltwhiskyn såväl som kolonnpannor för grainwhiskyn. Vi ville veta mer om detta företag och ordförande och huvudägare Richard Forsyth hade vänligheten att ställa upp på en intervju. Please introduce yourself to our readers? 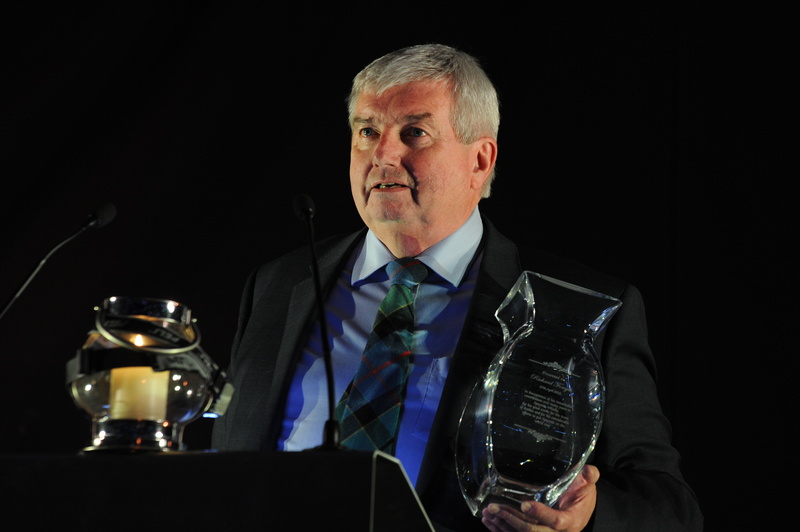 Richard Forsyth, Chairman and Main Shareholder of the Forsyths Group. Please tell us a little about the history of Forsyth’s? There’s been a copperworks in Rothes, Moray since the mid 1800’s. Alexander Forsyth started life as a coppersmith in the 1890’s and bought the company in 1933. His son Ernest, my father, took over after the 2nd world war. I started life as an apprentice coppersmith in January 1968, almost 50 yrs. ago. My son, Richard Ernest, is now managing director and 4th generation. He came into the family business after completing his mechanical and chemical engineering degrees. Please describe the basic design criteria for a malt whisky pot still? Malt whisky has always been traditionally made in copper pot stills which come in many different shapes and forms all with necks and cooling systems (worm tanks). Have the manufacture of pot stills changed somewhat over the years? The basic shapes and sizes have not changed much but all were originally direct fired via coal. Today 95% of the industry is steam heated via coils or similar. Cooling is now mainly shell and tube copper condensers. En pot still blir till hos Forsyths. How many of the pot stills in Scotland has Forsyth’s built and how many do you have the maintenance on? I will let you do the sums. Diageo, who have 32 malt distilleries, use their in house company – Forsyths build and maintain the rest of the industry (circa 600 pots). How long does it take to build a pot still? If I order one today when can I expect it to be delivered? 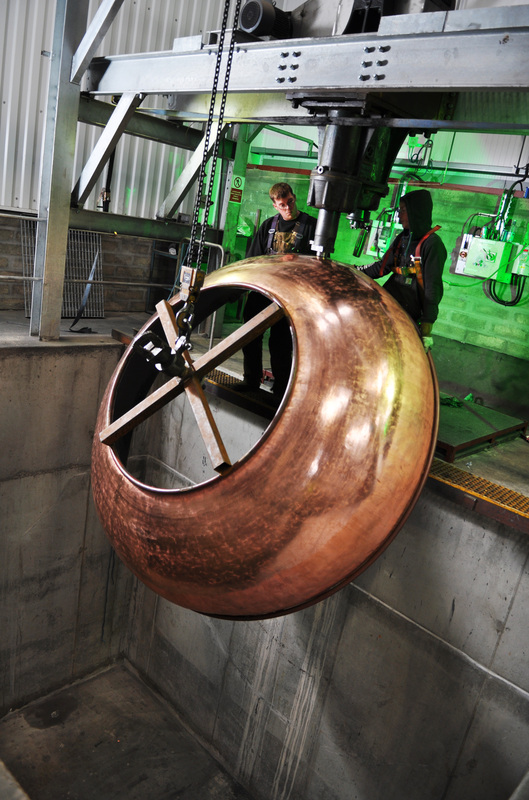 A medium sized copper pot still, say 10,000L capacity, would take roughly 6 men, 6 weeks to build. Order one today and you’ll get it in 8/10 months. How much would you say the character of the spirit comes from the shape of the pot still? In truth not as much as would be believed. Reflux areas on heads and necks have an influence but there are so many other factors. When a new distillery orders pot stills from Forsyth’s do you design the shape of the stills in cooperation with the client? 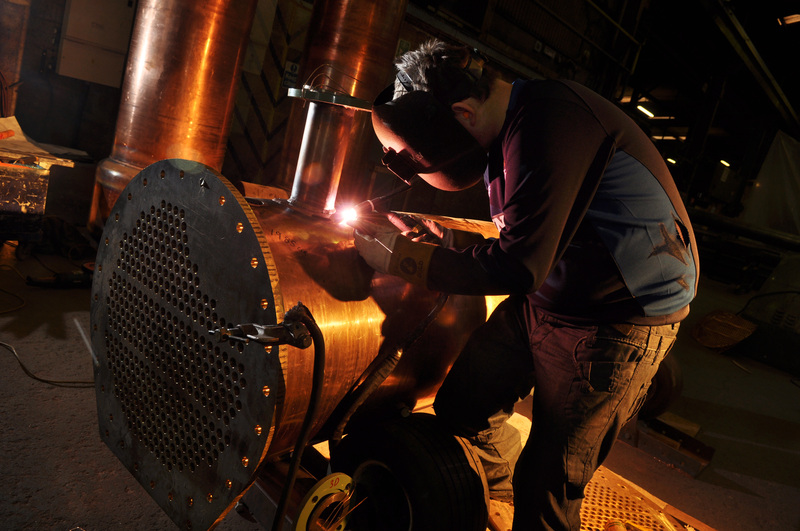 Can you influence the design of a pot still for a new distillery, or do you leave the choice to the distillery? We are quite often asked for our input based on past experiences. When a distillery needs to replace their pot still, how sensitive are the distillery managers that the new one is an exact copy of the old one? For consistency of product the replacement must have the same contours and capacities. Do you have any story about this? There are myths around that every ‘dent’ must go back in a still which is not true. Changing from riveting to welding stills took two decades especially with some of the older owners. Do you ever get inquiries about the design of a pot still so it will match a specific character on a new make? Yes constantly especially from new clients out with the industry. We can make no guarantees on end product v plant design and build. De 16 pot stills hos Ailsa Bay är tillverkade av Forsyths. Can you give us three different pot stills, of your design, that you are particularly proud of? I personally, like the 3 No. Traditional shapes i.e. onion shape with o gee, boil ball and lamp glass. 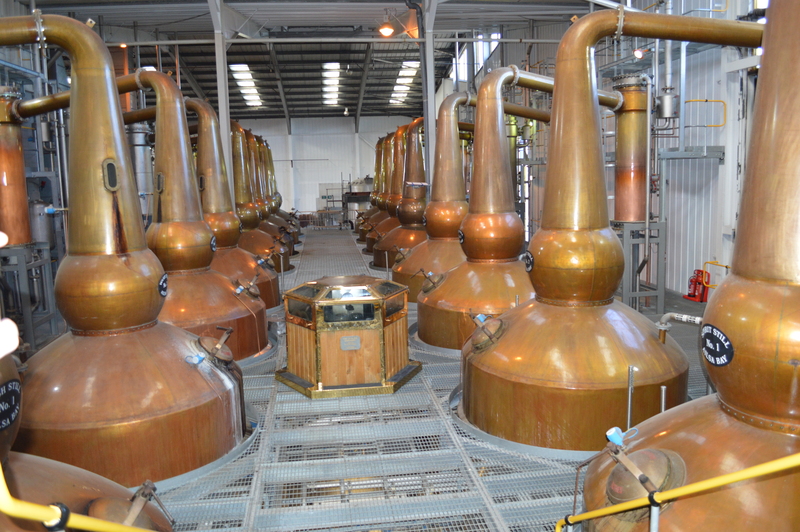 Do you manufacture other types of spirit stills, beside pot stills? We manufacture stills for gin, rum, vodka, tequila as well as bourbon, rye & Irish whiskeys. All have different configurations. Some have steam jackets for example. Do you have any favorite whisky? Can you tell us your top 3? When I drank whisky in my earlier days I always favoured the heavier ones like Macallan, Glenfarclas and Aberlour. Finally: Do you have a whisky advice for our readers? Yes – drink plenty of it sensibly, and keep all of us Scots guys in a job.